The title of this may sound a little intimidating but this example and concept is easily manageable once you understand how it works. 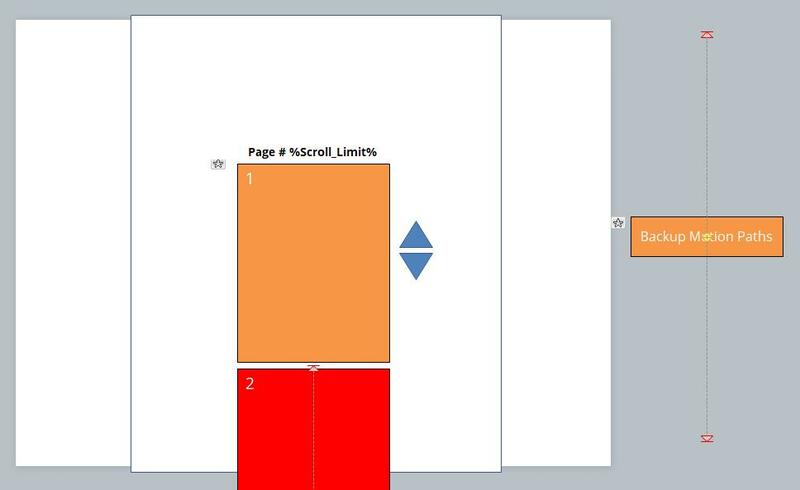 So, I was tasked this week with coming up with some prototype ideas for a scrolling interface of screen shots(SS) from a PDF document. These SS had to be about as large as the max height of the courses height and the user would need to click on sections of the SS to jump to a section of the course that would contain relative/matching information. What i came up with I decided to share with the community as I think it is something that people may find very useful. I made a simple version of the concept and attached it for anyone interested. This allows you to make your own but there are a few important tactics to developing with it that need to be pointed out! In relation to my project for work, all of the SS in the scroll-able content are in one group. 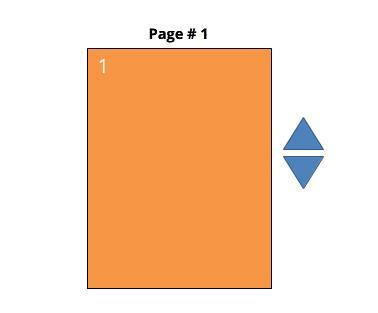 What I did in my project (not this example) was added transparent shapes over-top of the SS that I used as links to the related sections in the course. These links were put together into another group. I then grouped both of those 2 groups into one that I'll call the total group. Next I added 2 line motion paths to the total group. 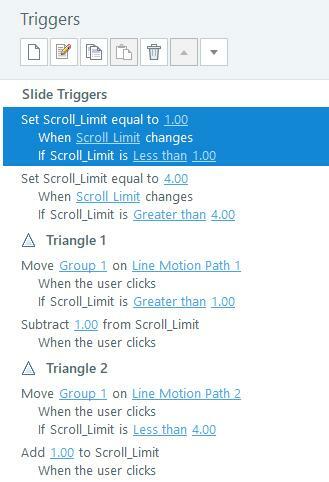 One path for scrolling up and the other for down. I set both motion paths to have relative starting points via the "Path Options" of the drop-down options in the animation section. The main thing I realized was, that I was going to have to update this with more links and possibly more SS down the road. Problem is, Storyline 2 doesn't allow you to add to an existing group. Breaking a group destroys your motion paths. So my solution is to keep a backup copy of my motion paths on an off stage object. This way when I break apart my group with my motion paths to add content I can make a new group and quickly use the "Animation Painter" tool to copy my preset motion paths from my off-stage object that has them ready to be copied! Then I just have to fix 2 triggers with the new total group info and it's good to go! Why can't I see original motion paths when trying to add a trigger to new group?